If we could predict the future with 100-percent certainty – whether stock market movements, the weather, or the workload-volume of contact centers – how perfect and easy the world would be. This would be especially perfect as operational costs for staffing account for 70 to 90 percent of a center’s budget, with under- and over-staffing severely impacting both cost savings and profitability. Forecasts, which will always have a degree of error in them, are the closest a center can get to this 100-percent certainty of the future. 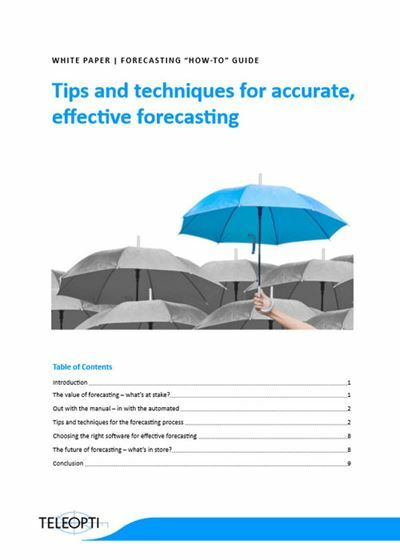 Download Teleopti's “how-to” guide with all the tips and techniques to fine tune your forecasting and get that margin of error as low as possible.